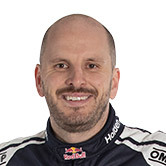 Paul Dumbrell has narrowly edged Chris Pither for the fastest time in first practice at the Supercheap Auto Bathurst 1000. The pair frequently swapped places at the top of the time sheet during the second half of the session, before the two-time V8 Supercars Dunlop Series Champion secured the fastest time with a 2min08.14. Pither trailed by 0.37secs, ahead of Brad Jones Racing's Andrew Jones in third, who held the top spot in the sessions first few minutes. Series leader Cameron Waters was unusually further down the order in fourthfastest, while Ant Pedersen and Todd Hazelwood were fifthand sixthquickest by the end of the 40-minute session. Despite coming home inside the top ten, Garry Jacobson's run was hindered by an engine issue that forced him to retire from the session early. Smoke poured from the rear of his #54 Eggleston Motorsport Commodore while Jacobson was on a quick lap, which he was forced to abort and enter the lane. His quickest time was enough to see him end practice one in seventh, ahead of Jack Le Brocq and Josh Kean. Macauely Jones rounded out the top ten, despite having a moment on the exit of the chase in the mid-part of the session that saw him spear off into the sand trap. Grant Denyer seemed to reacclimatise well to his familiar V8 Supercars environment, ending the session 13th fastest - his first laps in a V8 Supercar in four years. Simon Evans was 15th, while Renee Gracie brought it home in 21st. The Dunlop Series will return to Mount Panorama for first practice tomorrow at 10.45am, before qualifying at 3.00pm.